If you’re planning to visit Chessington World of Adventures in Surrey, England, you’d be well-advised to leave any animal-print clothes at home. The safari park put the kibosh on fake leopard spots and tiger stripes after zookeepers noticed the confusing or even frightening effects they had on the animals. 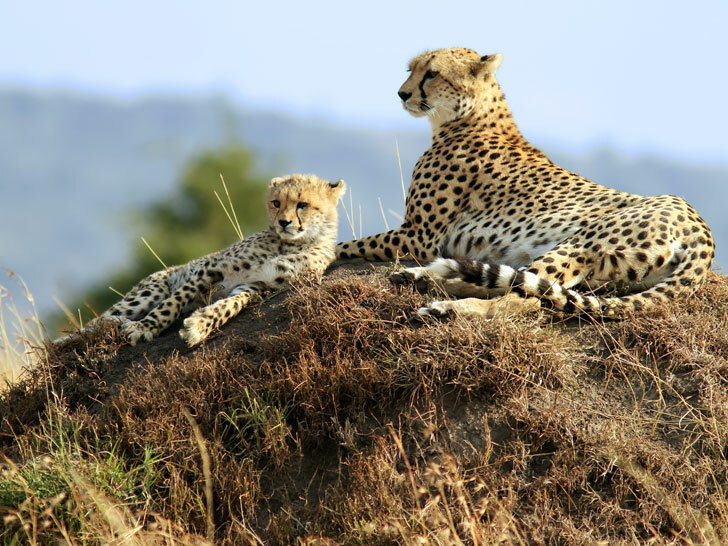 The behavioral shifts became even more marked after Chessington launched a new attraction that allows guests to drive off-road through a 22-acre Serengeti-style reserve populated by free-roaming wildlife. Visitors who wore ersatz hides, in particular, befuddled the animals, who responded by attempting to communicate with them, becoming agitated, or running away. “Animals are getting confused when they see what looks like zebras and giraffes driving across the terrain in a 7.5-ton truck,” Natalie Dilloway, a spokeswoman for the park, told The Guardian on Tuesday. Certain colors and patterns are strong visual triggers for animals. The dress code, which goes into effect immediately, forbids anything that resembles the skin of giraffes, leopards, cheetahs, or tigers. Chessington has even brought in staff to regulate visitors’ clothes. Anyone who might be mistaken for an animal is issued a gray boiler suit to obscure the offending print. The worst thing you could possibly do is “limp past” the lion or tiger enclosure in a zebra-print ensemble, she added.